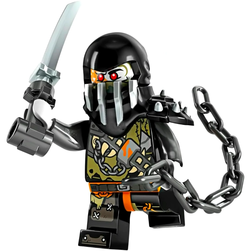 This page contains spoilers relating to "Ninjago: Masters of Spinjitzu: Hunted". Read on at your own risk. Muzzle is a Ninjago minifigure released in 2018. This page was last edited on 29 August 2018, at 15:22.